Are you ready to Run, Row & Ride your way through some of the most scenic areas of Western Montana. With two options, the original Adventure Challenge and the Adventure Challenge - Lite, there is opportunity to participate for individuals with all levels of skills. 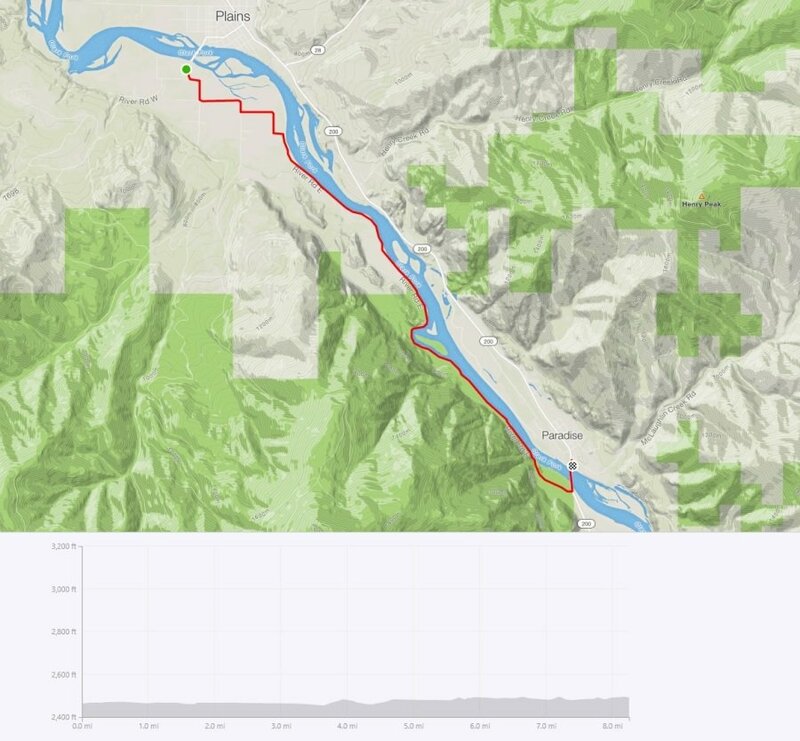 Adventure Challenge - The event begins with a scenic run starting at the Sanders County Fairgrounds and follows the meandering Clark Fork River on the River Road East,a county maintained road. This 8 mile run is paved with beautiful mountain and river views along the entire course. The aid stations will be located at approximately the two (2) mile marker and the five (5) mile marker along the course. At the end of the run, after crossing the BNSF train tracks, River Road east intersects with Highway 200 and runners will cross over the Clark Fork River and transition to the rowing portion of the Challenge at the Paradise boat launch on the east side of Paradise, MT. 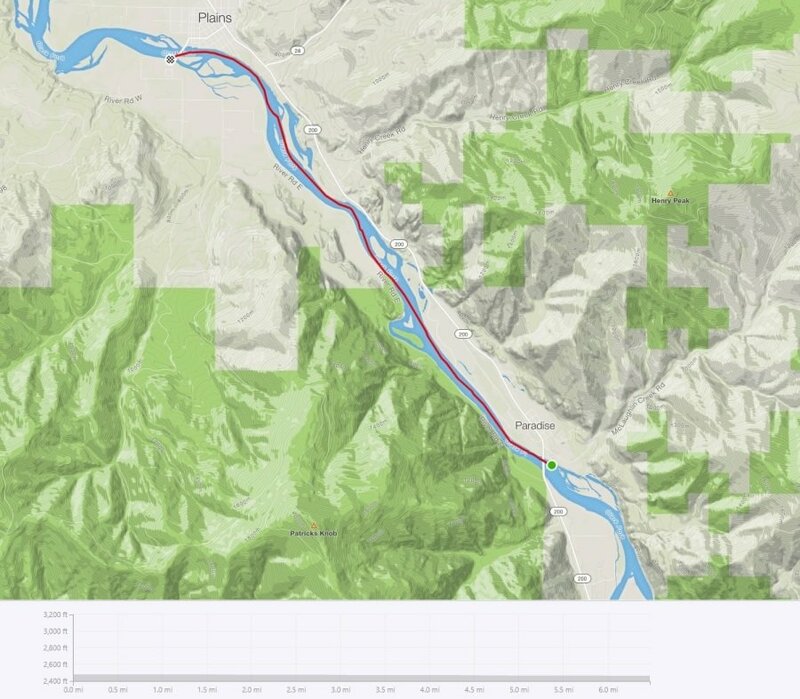 The 8 mile rowing course winds back down the Clark Fork River where participants will get a different perspective of the beauty of the valley as the head back to the starting point of the race. This section of river is expected to be very calm this time of year, but has a steady current to help racers move quickly through this section of the event. Rowers will pass under the bridge just before the Sanders County Fairgrounds and land on the designated beach on the left. From the beach racers will run up to the mountain bike staging area and begin an approximate 15 mile ride up into the mountains south of Plains. This course is designed for the intermediate mountain biker who enjoys both forest road riding and some single track off-road adventure. The first three (3) miles is a rough gravel climb on a forest road before heading back into non-motorized country where riders will encounter both roads and game trails while they wind through the forested lands. Mid-way through the ride racers will encounter the more technical portions of the ride with some of the more challenging vertical gain and loss along the course. Riders should expect rough terrain, rocks, and vegetation along the course. There will be at least two (2) aid stations located along the bike course, and they will contain limited hydration and nutrition supplements and minimal first aid supplies. 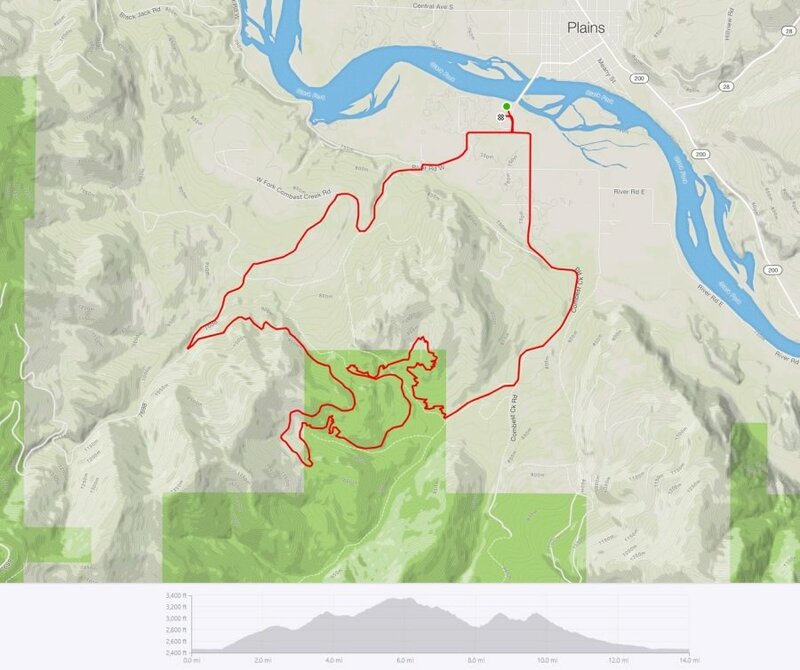 Adventure Challenge - Lite- The event begins with a scenic run starting at the Sanders County Fairgrounds and follows the meandering Clark Fork River on the River Road East county maintained road. This 5 mile run is paved with beautiful mountain and river views along the entire course. The aid stations will be located at approximately the two (2) mile marker and the five (5) mile marker along the course. At the end of the run, runners will transition to the rowing portion of the Challenge at an easily accessed beach area just off River Road East. The 5 mile rowing course winds back down the Clark Fork River where participants will get a different perspective of the beauty of the valley as the head back to the starting point of the race. This section of river is expected to be very calm this time of year, but has a steady current to help racers move quickly through this section of the event. Rowers will pass under the bridge just before the Sanders County Fairgrounds and land on the designated beach on the left. From the beach racers will run up to the mountain bike staging area and begin an approximate 10 mile ride up into the mountains south of Plains. This course is designed for the intermediate mountain biker who enjoys both forest road riding and some single track off-road adventure. The first three (3) miles is a rough gravel climb on a forest road before heading back into non-motorized country where riders will encounter both roads and game trails while they wind through the forested lands. Mid-way through the ride racers will encounter the more technical portions of the ride with some of the more challenging vertical gain and loss along the course. Riders should expect rough terrain, rocks, and vegetation along the course. There will be at least two (2) aid stations located along the bike course, but they will contain limited hydration and nutrition supplements and minimal first aid supplies. Restroom and Aid Stations will be provided at the Start/Finish and at each transition point. Both races will finish at the Sanders County Fairgrounds. The race will be chip timed thanks to Competitive Timing. Prizes will be presented for both top individual finishers and top team finishers. Recognition will also be given to winners in various age groups spread out in increments. All finishers will receive a long sleeved performance shirt from Clark Fork Valley Hospital Foundation and a completion medal.. The entire course will be signed clearly with visible marker/signs. Transitions will have timing mats and at aid stations we will have check-in points to ensure safety of all racers. The Sanders County Fairgrounds, where the event is based, has camping facilities where you can pitch a tent or park a camper. There is lots to do in the little town of Plains as would be expected in typical Montana hospitality. Race packets may be picked up on the 14th of September between 6 and 8 p.m. at the pre-race gathering in the ground floor of MTWest Dentist on Highway 200 in downtown Plains. There will be light refreshments and orientation to the course at this time. Participants may also pick up packets on the day of the race starting at 6:30 a.m. at the Fairgrounds. Please note, that the starting times for the Triathlon and the Triathlon-Lite have staggered starting times. Award Presentation is anticipated to begin at approximately 12:30 pm beside the starting line, or in the race headquarters located just beside the starting line.